Fans who have been wondering about the existence of director Zack Snyder’s fabled cut of Justice League have finally received their answer. Following a recent fan screening of Batman v Superman Dawn of Justice a fan was able to ask the four time DC director about the Snyder Cut and gave a straightforward answer. “Sure, there’s a cut. It’s done. You haven’t got it. It’s just up to them.” said Snyder while signing memorabilia for fans who showed up for his 3-day Director Cuts event at the ArtCenter School of Design in Pasadena, California. Obviously when Snyder says “them” he is referring to Warner Bros. Pictures, who owns the legal rights to his Justice League film and would be the ones to decide whether they will release his cut of the tentpole superhero team-up. Therefore, it does exist contrary to some reports circulating today claiming that the director said otherwise. Whether Warner Bros. does decide to release the cut is presently unknown, but if they do it will be decades after the DC Extended Universe ends its run in cinemas. Fans will just have to wait and see what the studio decides to do. It is important to note that if Warner Bros. ever does decide to release the Snyder Cut, there is precedent for them to do so. In 2006, the studio did release an original cut of Richard Donner’s Superman II with additional footage being edited to close resemble the director’s original vision after fans launched a decades long campaign that started in 1981. More importantly Warner Bros. does technically hold the record for releasing the most director’s cuts of any studio following the release of two different cuts of Watchmen, Batman v Superman Dawn of Justice, Suicide Squad, Blade Runner: The Final Cut, Blade Runner: The Director’s Cut, Spawn, and numerous other films. Some of which were not critical or financial successes like Batman v Superman, Suicide Squad, and Blade Runner. Zack Snyder’s Justice League released in theaters worldwide on November 17th, 2017 to mixed to negative critical reception and was a commercial failure, grossing only $657.90 million at the box office. Directed by Zack Snyder, Justice League stars Ben Affleck, Henry Cavill, Amy Adams, Gal Gadot, Ezra Miller, Jason Momoa, Ray Fisher, Jeremy Irons, Diane Lane, Connie Nielsen, J. K. Simmons, and Ciarán Hinds. Justice League is now available on Blu-Ray, DVD, and Digital HD. What do you think of this news? 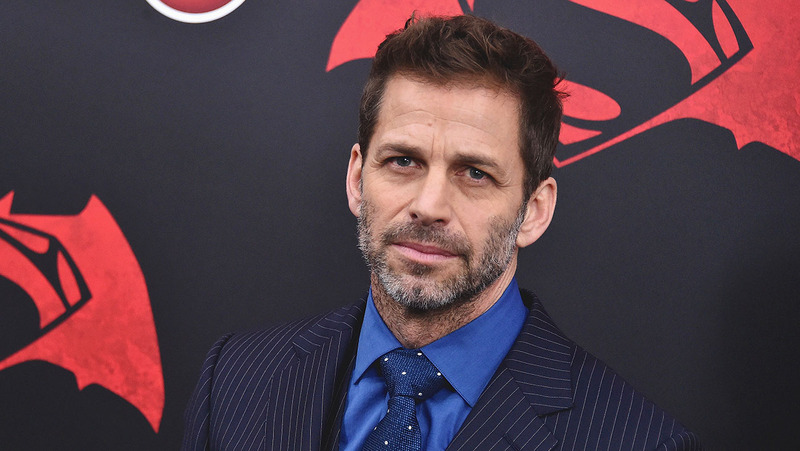 Do you want the Snyder Cut? Let us know in the comments below!